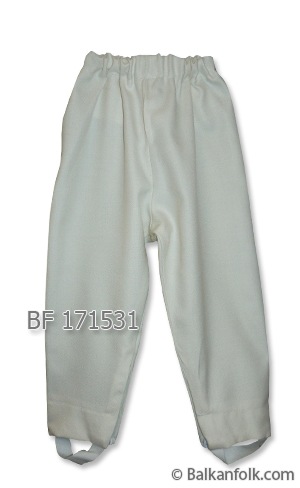 Baby shopski trousers made ​​of thin cloth. Trousers are made ​​in 3 sizes : baby 9 months , 1 year and 2 years. The time for making trousers is 30 days.